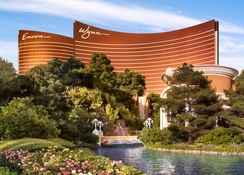 Encore at Wynn Las Vegas sets the standard as one of the top luxury destinations in Las Vegas. This lavish resort hotel, sitting stylishly on Las Vegas Strip, is an epitome of modern and exotic experience with fabulous facilities, including sumptuous spa, temperature-controlled pools, Jacuzzi, private cabana and a plethora of high-end branded shops. But that’s not it, the hotel offers a wide range of entertainment options and activities like excellent restaurants and nightclubs, a fully equipped gym, a beauty salon, spectacular shows, live music and a huge casino offering a wide variety of games. No doubt, its vibrant, elegant style and an exceptional service are just two of the reasons that make Encore at Wynn Las Vegas everyone’s first choice to embark their luxury holidays. 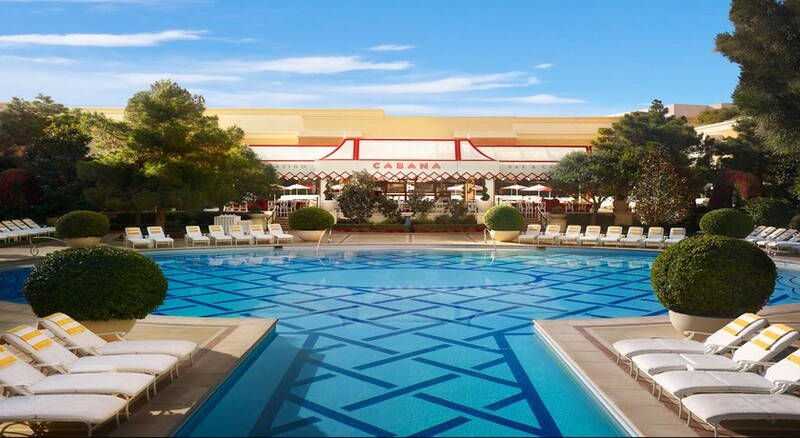 Located on The Strip, Encore at Wynn Las Vegas is adjacent to Fashion Show Mall and within 2 km of other popular sights like Las Vegas Convention Center and McCarran International Airport is less than 8 km from the resort. The nearest airport is McCarran International Airport, 5.1 km. Classy suites with floor-to-ceiling windows and Strip, Downtown or pool views offer luxurious bedding, LED TV and beautiful bathrooms with tubs and TVs. 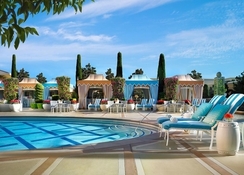 The suites at Encore at Wynn Las Vegas are broadly categorised as Encore Resort Suites and Encore Tower Suites. Amenities in suites include Wynn Dream Beds, LED TV, touch-screen curtains, large work space and Italian marble bathrooms featuring a soaking tub with separate glass-enclosed shower. Guests can also enjoy massage rooms, marble wet bars, complimentary breakfast and select pool access. A lavish 2-bedroom apartment adds a whirlpool tub and panoramic views, plus a dining table; a 3-bedroom duplex offers a billiards room, daily cabana rental and airport limousine service. This resort is home to plenty of on-site restaurants and bars that come with different themes and menu. From formal dining, casual dining and vegan dining to formal and informal lounges, and stunning bakery, the resort has a huge variety to offer in food and drinks. Fine dining venues at the hotel includes Andrea’s (Asian) and Costa di Mare (Italian), while there are informal restaurants such as Allegro, The Buffet and Charlie’s Bar+Grill. Bars and lounges at Encore at Wynn Las Vegas include Eastside Lounge, Encore Players Bar, Lobby Bar & Café and Tower Suite Bar. You can also savour a meal from the comfort of your room with 24-hour room service or get a quick energy boost at the coffee shop/café. Encore at Wynn Las Vegas hosts a magnitude of entertainment options that promise to entertain everyone that encounters them. You have large production shows, live music and nightly programmes. The in-house clubs host the liveliest entertainment and ultimate parties in Las Vegas. While Encore Players Lounge combines the excitement of gaming with a nightlife vibe. The hotel also houses a range of branded shops, spa, beauty salon, fitness centre, pools, cabanas and Jacuzzi. Guests can enjoy at the glamorous casino that offers a wide variety of games.